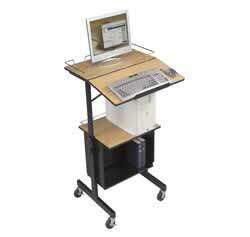 Use this Balt Diversity Stand as a mobile lectern, projection stand or stand-up workstation. 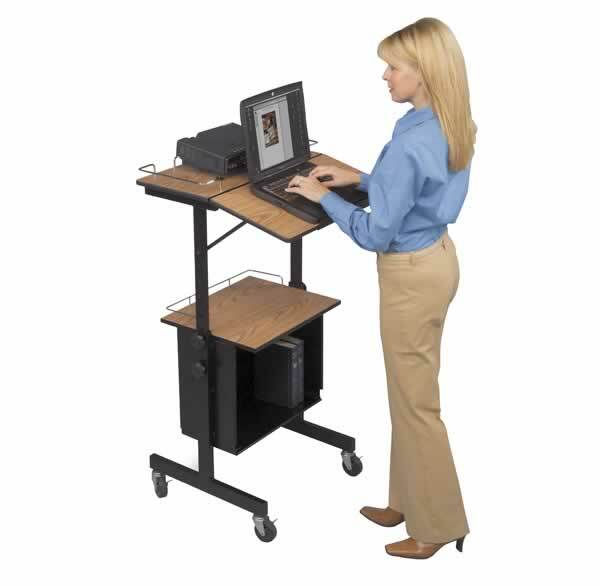 • Adjusts from 37.5”-45.5”H for stand-up presentations. • Top and middle shelves feature security rails to safeguard equipment. • Storage box is 18.75”W x 9.5”D x 14.5”H to hold small CPU’s, books, binders or equipment. • Black steel frame and T-molding with medium oak tops. • 3” casters, 2 locking. Download Diversity Stand PDF here.